There are 118 companies that have raised their dividend every year for at least 25 years. Usually, a company with a track record that long has a pretty safe dividend. But when oil prices collapsed in 2014 and 2015, even shareholders in oil companies with impressive dividend-raising histories got nervous. Many of these companies saw their cash flow go negative, leaving investors to wonder how oil companies would fund their dividends – especially with so many Wall Street pros forecasting permanently lower oil prices. Today, oil has rebounded sharply to around $67 a barrel. So this example is just another reason why you shouldn’t listen to Wall Street pros. During this difficult period, Wall Street analysts suggested that Chevron (NYSE: CVX) would cut its dividend. However, despite negative cash flow, the company continued to raise its dividend (sometimes very slightly, but it kept its streak alive). And despite paying out more in dividends last year than it generated in cash flow, the dividend is secure. After several years of negative cash flow, Chevron was $7.1 billion in the positive last year. However, it paid out $8.1 billion in dividends. This year, the oil giant is expected to double its free cash flow to $14.1 billion, which would be more than enough to cover the projected $8.6 billion in dividends. Without the expected leap in free cash flow, last year’s 114% payout ratio would normally concern me. 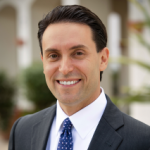 The payout ratio is the percentage of cash flow or earnings that is paid out in dividends. I use cash flow because it’s a more accurate gauge of a company’s ability to pay the dividend. But with this year’s cash flow likely to leap, the company should have no problem paying and raising its payout to shareholders. Also in the company’s favor is its stellar 31-year history of annual dividend increases. 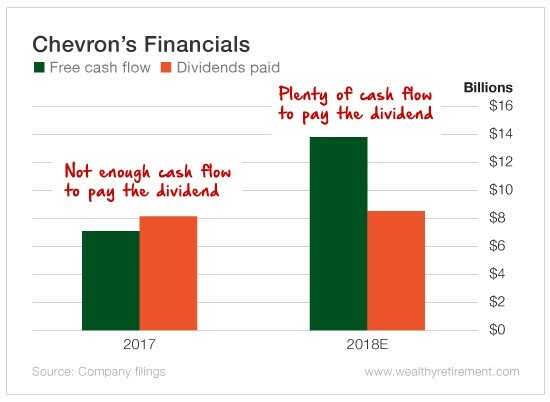 Chevron was able to keep its dividend intact – and raise it – while oil prices were in the toilet and the company was burning cash. Now that oil has recovered and the company’s cash flow will be significantly higher than its dividend payment, there’s no reason to be worried about its ability to pay shareholders in the near future. 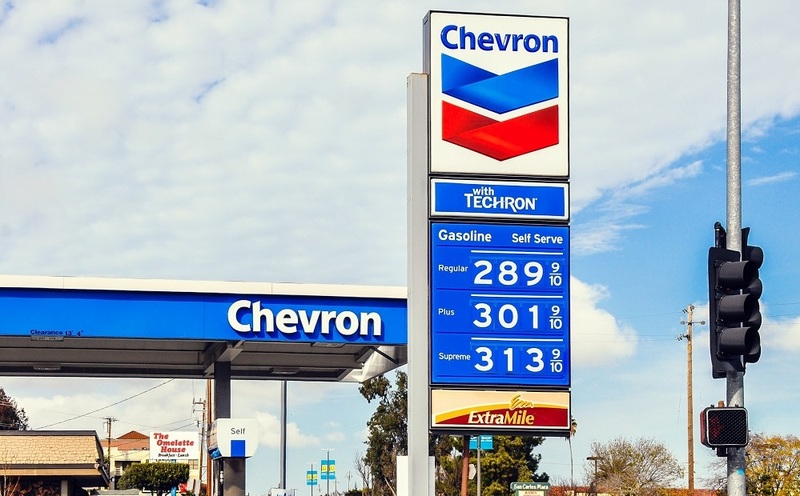 Chevron proved to shareholders that it can overcome tough markets and continue to reward them with increased dividends year after year. How Can a 15% Yield Be Safe?